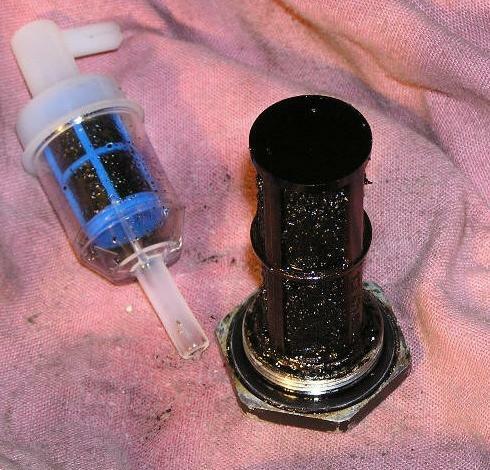 I posted a picture of the pre-filter I removed from my 300CD a while back after I purchased it (about 1000 miles afterwards). Recently, I went on vacation to San Antonio. 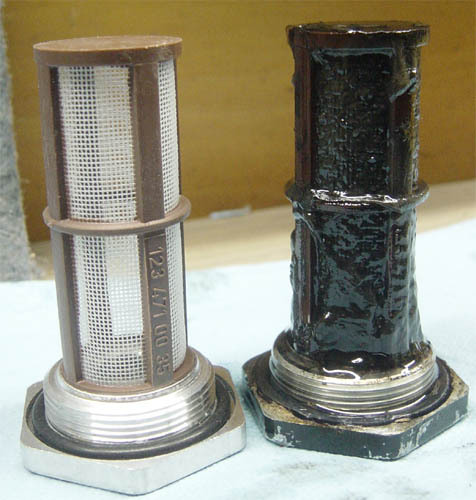 I clogged two pre-filters during that trip (about 2700 miles overall). Clogged one more a few weeks ago and finally decided that it was time to use the biocide and change the tank strainer too. I used Valvtech Bioguard and the next day had a new pre-filter full of the fungus, this time slimy instead of gunky letting me know it had worked it's magic. I waited until I had run the tank near empty and today I drained the tank and changed the tank screen and hopefully my last pre-filter for a while. I took the fuel line loose from the tank and it took all of 2 hours to drain approximately 9 gals of fuel. Once it slowed to a drip, I removed the tank screen and out came another gal. Below is a pic of the tank screen and pre-filter I changed today. Filled the tank afterwards and put some more Bioguard in the fresh fuel. I plan to keep using it (at a maintnence dose) until the bottle is empty. I added a link to this thread on my DIY links thread "Diesel Fuel Delivery:". Here is a link to Biobor Biobor, what is it, why do I need it??? Last edited by whunter; 03-27-2006 at 02:45 AM. I regularly add algicide to customers tanks (along with some DFS and diesel kleen) to treat it for them when I have cars in for ANY reason. 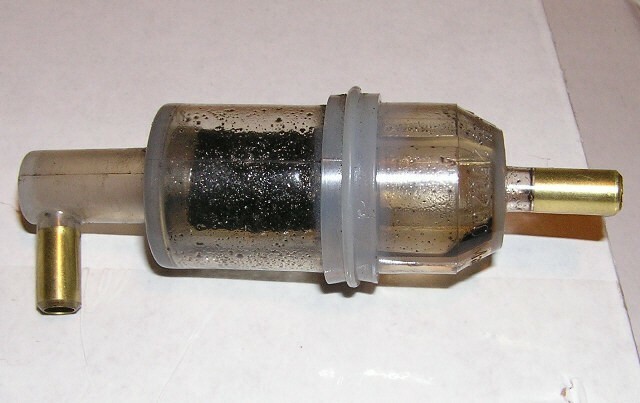 Most people just drive and take little effort to see that their fuel system is clean and healthy. Filling up on trips is the most common time to get an infection (like what happened to you), so carrying biocide for each away-from-home fill is a good idea. Hopefully many will learn from your experience. Also, filling up at truck stops will minimize the risk. Exceptional in cleaning sludge and algae from gasoline and diesel tanks * Slows the recurrence of new algae that can contaminate fuel * Enzyme will clean tanks better than any tank cleaning service. I've been using that, seems a lot less toxic than Biobor. Biobor's label reads like something that would give you cancer or take out your liver by the morning. 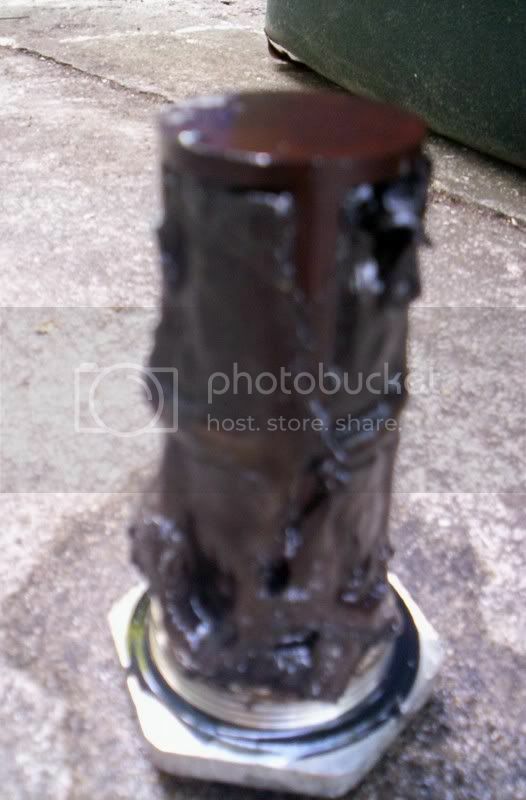 Scary pictures of what you do not want to see in your diesel. Bet mine looks exactly like the black gunked up one. According to the MSDS sheet, it's >95% Naptha solvent. Is this stuff snake oil or does it really do what it says? finally got the GREMLINS out of my fuel tank! So heres a few pics of the product and of course one of my new additions to the great family of Mercedes Benz....And yes there will be more MB coming into the yard very soon! Nice chatting with you Bob!! Know your limit,play within it! And yes there will be more MB coming into the yard very soon! Nice chatting with you Bob!! Enjoyed! I use this stuff. Anyone else?